Red8RF were recently asked to investigate the recurrent failure of the rectifier assembly in an RF dryer supplied by a leading manufacturer being used in the textile industry. From experience our Engineers know that rectifier failures are often caused by power surges at start up; a characteristic of the design of the three phase power circuit which is employed by many of the leading manufacturers of RF dryers. Upon further investigation it was found that although the rectifier diodes within the assembly were of a good quality, their ratings had insufficient safety margins for the application in which they were being used. As a result, the surge from the power circuit had been causing prematurely failure of the rectifier assembly. 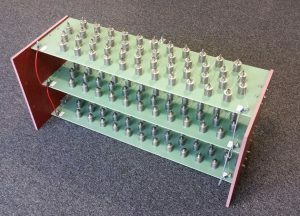 Red8RF Engineers designed, assembled, fitted and tested a revised control assembly for the power circuit which eliminates the frequent diode failures. Once installed, the immediate reduction of down time meant that the solution provided by Red8RF paid for itself in the first six weeks of operation. Red8RF are now in a position to offer this soft start solution to those customers who are looking to improve the reliability and performance of their Fastran, Elgotec, Stalam or RFS RF dryers. Q: What impact would a defective rectifier assembly have on your manufacturing process? A: The first indication of a possible problem is when product leaving the machine has a higher moisture content than desired, when all machine parameters have seemingly remained unchanged. If as a result you have had to reduce the speed of the conveyor belt transporting product through the machine in order to obtain the desired moisture profile, then there is a possibility that the rectifier assembly is defective. Typically a diode without a snubber RC circuit (Resistor in series to a Capacitor fitted in parallel to the diode) will fail open circuit. As a full wave three phase rectifier assembly consists of six rectifier legs, failure of a single diode will result in failure of one of the legs. 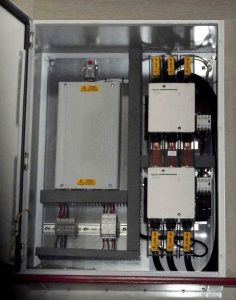 The open rectifier will result in a lower High Voltage DC being supplied to the valve, which will in turn translate in to less power being transmitted to the medium to be dried. The obvious consequence is reduced throughput, but a defective rectifier assembly could lead to instability in the RF circuit, arcing in the oscillator, flipping of frequency, increased voltage spikes and ripple in the HT DC supply; all of which can result in possible failure of machine components. If part of a rectifier assembly becomes defective it should be repaired as soon as possible to avoid consequential reduction of throughput and a deterioration of the machine’s condition. Regular servicing should be conducted to prevent component failure and to ensure that your machine remains a productive asset in you manufacturing process. 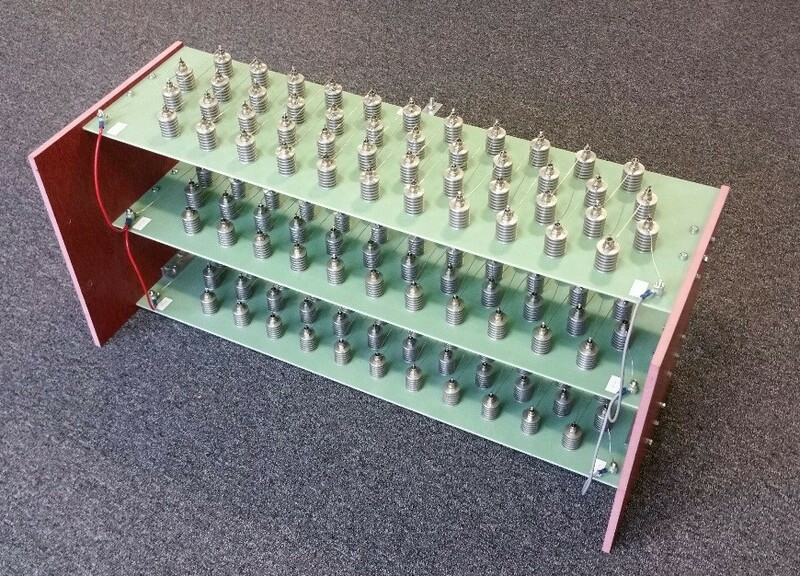 Over recent years our Engineers have seen an increase in the number rectifier assembly failures as a result of diode failure. As a result they have designed a rectifier assembly which addresses the weaknesses of existing designs. Their work has resulted in a rectifier assembly which is of higher quality and superior performance when compared to the assemblies available from the leading manufacturers. Our Engineers have experience of servicing and supplying spare parts for machines from manufacturers including Strayfield, RF Biocidics, Fastran, Elgotec, Stalam and RFS. If you would like to discuss any aspect of your RF Dryer please contact Red8RF.